Boasting spectacular market stalls with a range of handicrafts, cuisine and local produce, Samoa markets have become a very popular tourist attraction and major holiday highlight. A must-do shopping experience, Samoa markets offer visitors the chance to pick up some great holiday bargains and souvenirs as well as sampling the delicious local food. Additionally, the markets are a great way to experience the local culture and learn about the fascinating Samoan history. The main island of Upolu is home to 4 popular markets that sell a wide range of items fresh seafood to local hand made jewellery. The smaller island of Savai'i has just one market, the Salelologa New Market that sells an abundance of local produce and wooden artefacts. Located in Apia, The Flea Market is a fantastic outdoor bazaar that sells a wide array of Samoan handicrafts. The traditionally made items include intricate wood carvings, lavalavas (sarongs), beautiful ava bowls and woven pandanus mats. Many of the items sold at the Flea Market are made by local village communities, using all natural materials. The Savalalo Flea Market is open daily from 6:00am - 6:00pm. Located on Fugalei Street, the Marketi Fou is a colourful food market that is brimming with culture and colour. Open 24 hours a day, the market gives visitors the opportunity to sample a range of traditional Samoan cuisine. From Taro and breadfruit to raw fish in coconut cream, there is so much on offer to entice your taste buds. 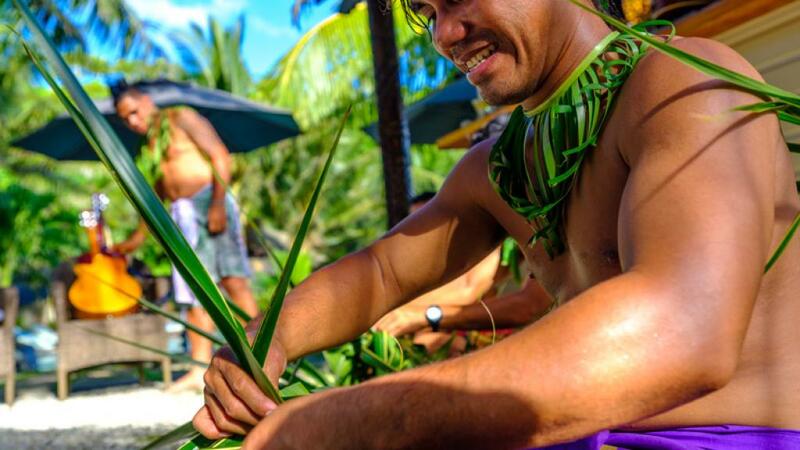 Offering a fantastic array of fresh local produce, the Fugalei Market is a great place to sample some of the most delicious fruit in Samoa including fresh coconut, banana's and other exotic fruits. The family owned and operated stalls also sell a range of handicrafts and souvenirs all at affordable prices.